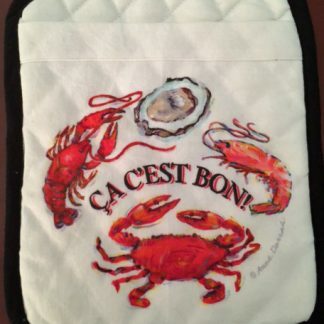 This pot holder features our “Ca C’est Bon” design. 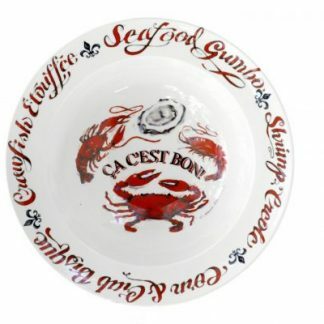 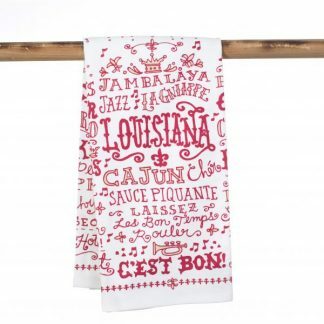 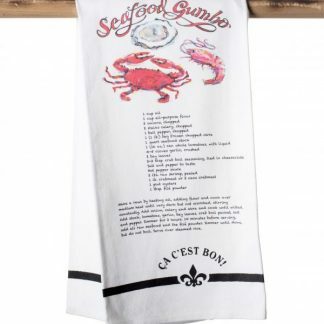 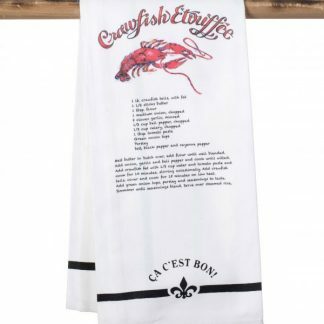 it includes images of a shrimp, oyster, crab and crawfish along with the words “Ca C’est Bon” in red and black printed on white. 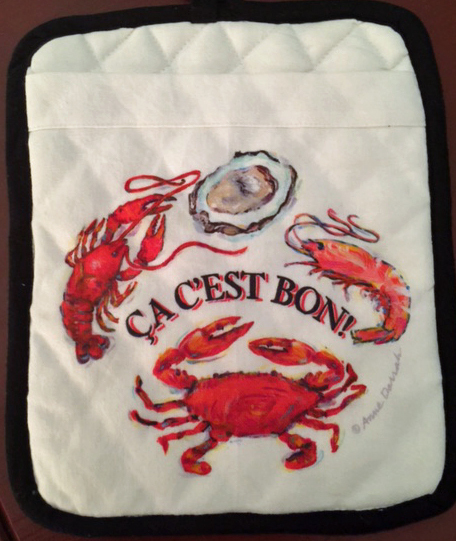 Pot holder also features black trim, a loop for hanging and convenient pocket on the front.